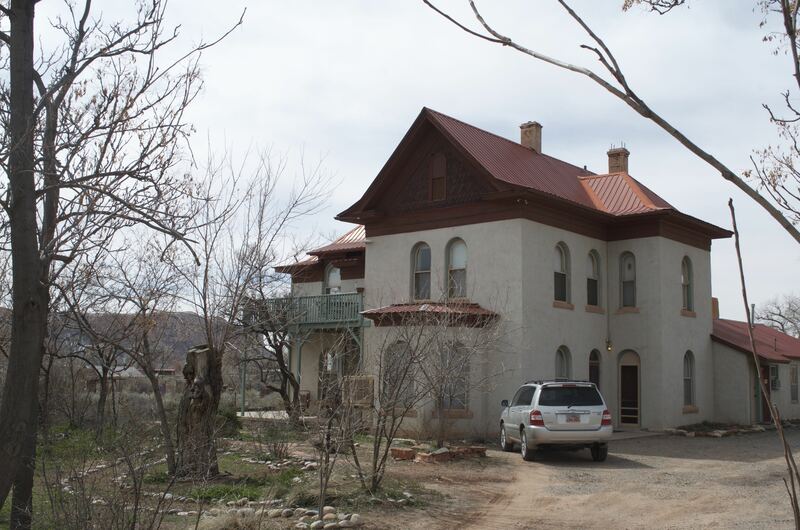 The Decker home is a spacious two-story structure built to house James, Anna and their eleven children. Local folklore has it that the Decker children helped to make the adobe bricks used in constructing their house .The downstairs consists of a living room, dining room, parlor, kitchen and pantry. One or two bedrooms were downstairs. There were only bedrooms upstairs, each of which had a small closet, some even had a fireplace. Local folklore also has it that Mrs. Decker kept their home spotless. The natural wood floors were always shiny, and the deep windowsills were kept clean and polished. Most of the Decker’s furniture consisted of tables, benches and beds, so the deep sills were used as chairs when company came. Shortly after the construction of his home, James B. Decker and four of his eleven children, Horace, Gertrude, Lynn, and Clair Decker, were taken ill with diphtheria. The epidemic later claimed the lives of James and his son Lynn, both on December 15, 1901. Gertrude followed her father and brother on December 16, 1901. As a new year came about, Anna began to believe nothing else could go wrong, but then Horace died on January 25, 1902, and Clair on January 26, 1902 (Bluff Cemetery headstones). After the death of James, Anna and her seven other children, Lillian, Jennie, Lena, James, Elmer, Claud and Afton, were under quarantine with local volunteers taking care of them. The remaining Decker children later filled important positions in San Juan County and the surrounding territory. Through time this house has had several different owners, and has been used for many things. At one time the owner made the downstairs into a small bookstore and tea parlor. The owner would help her customers in the bookstore, or serve tea to all who wanted to buy a cup. When tea time was done she would then offer to give her guests a tour of the rest of her home. 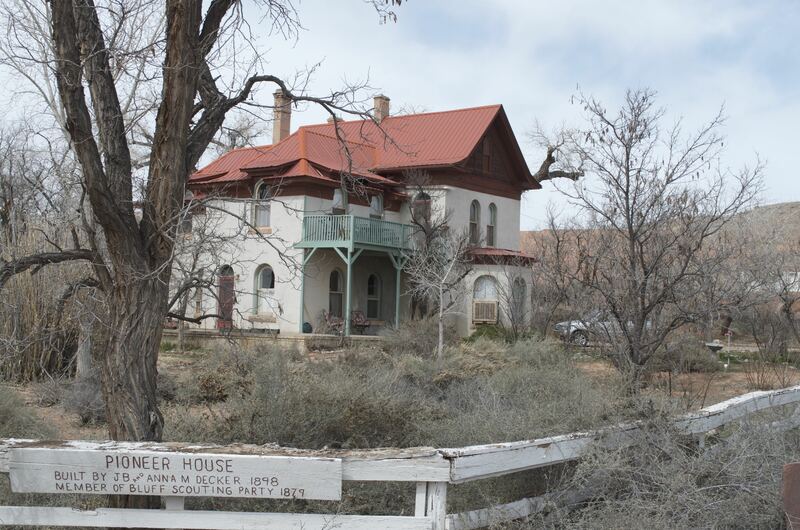 The Decker house is now privately owned and has been turned into a bed and breakfast. Several doors have been added to the original structure, but overall, the basic two story structure is still the same, and gives a sense of early life in Bluff.